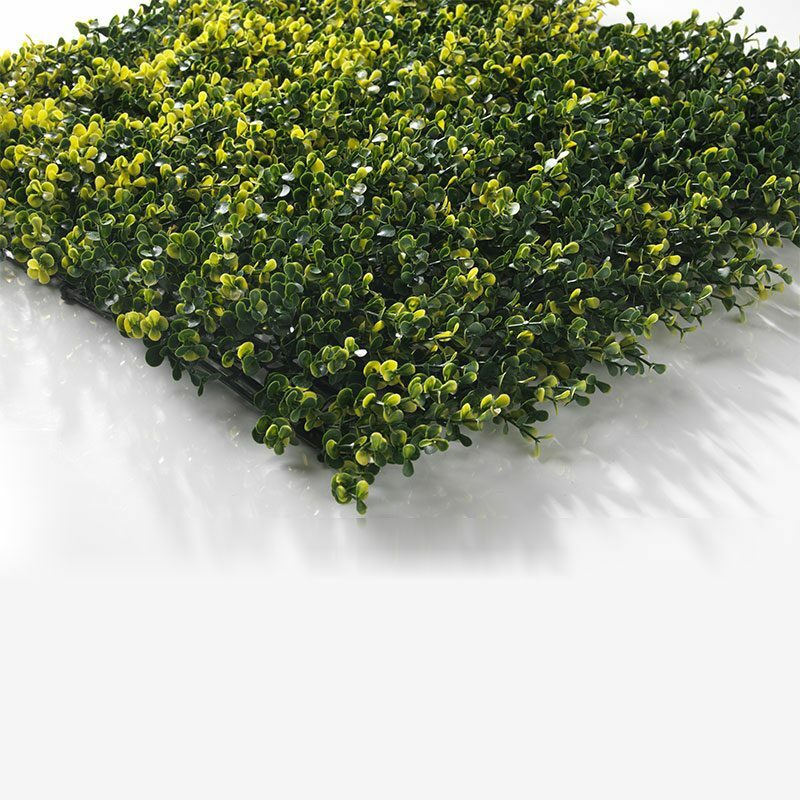 Artificial boxwood hedges – natural are a beautiful artificial hedging tile designed to have a truly natural appearance. 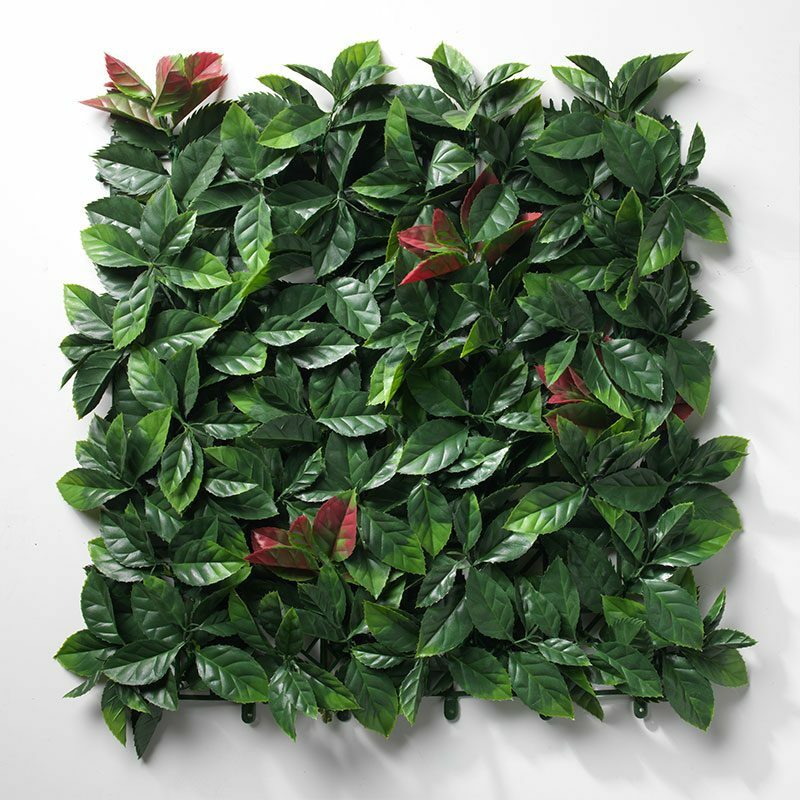 It’s complete with variegated leaves creating a stunning multi-tone hedge that is incredibly realistic and almost indistinguishable from a natural and real hedge. 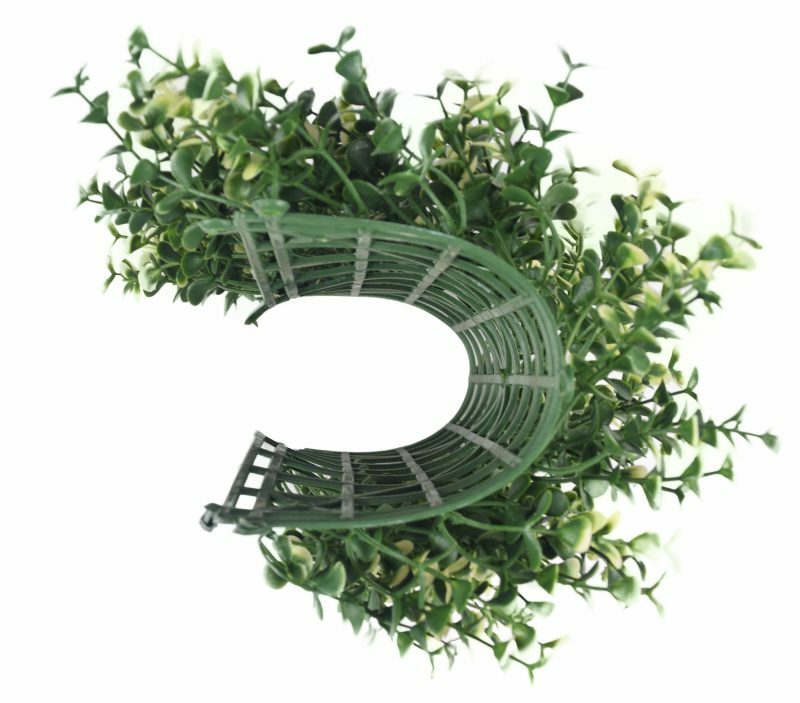 Not only are the artificial boxwood hedges – natural a striking hedging tile that offers you all of the aesthetic beauty of a real hedge, but they are built to last, offering you a flawless finish for up to 10 years. 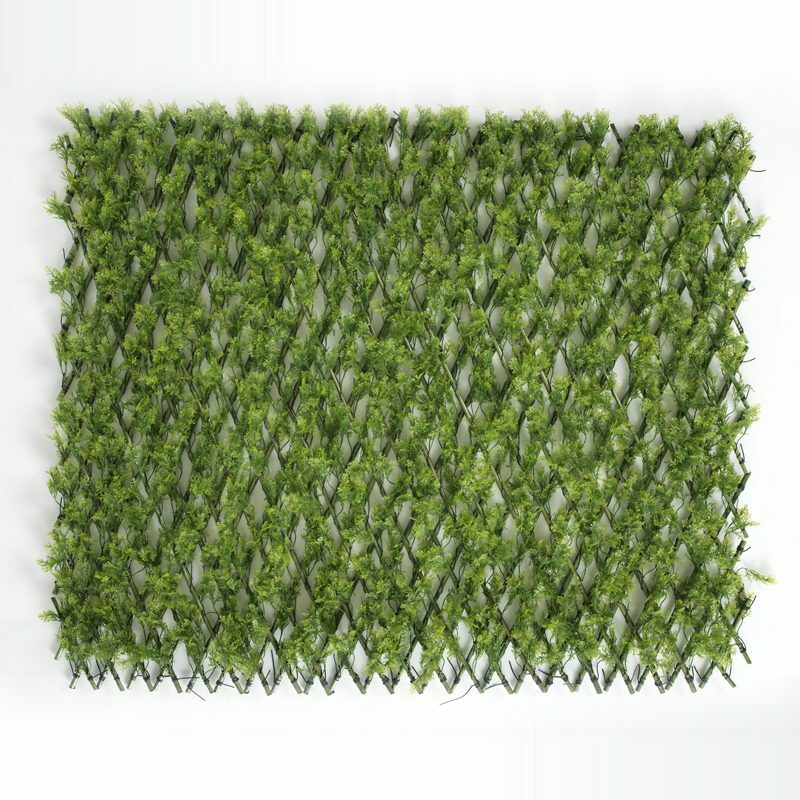 They are sturdy and strong, completely weather-proof, frost-proof, UV stable and have a stunning dense coverage that will stand out in your home design. 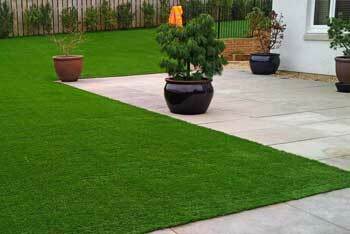 Not only this, but they won’t require any trimming, cutting, weeding or watering to retain their perfect finish. 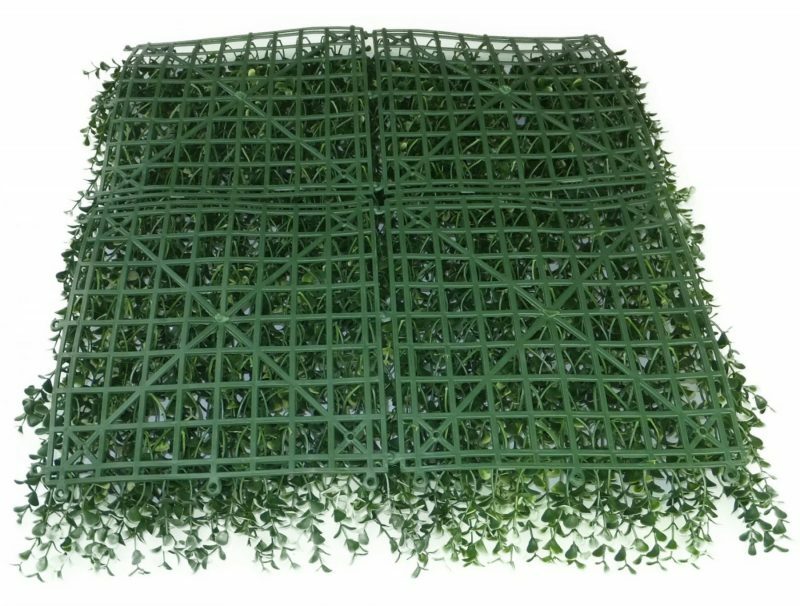 As if that weren’t quite enough reasons to invest in the artificial boxes hedges – natural, they are incredibly easy to fit together. 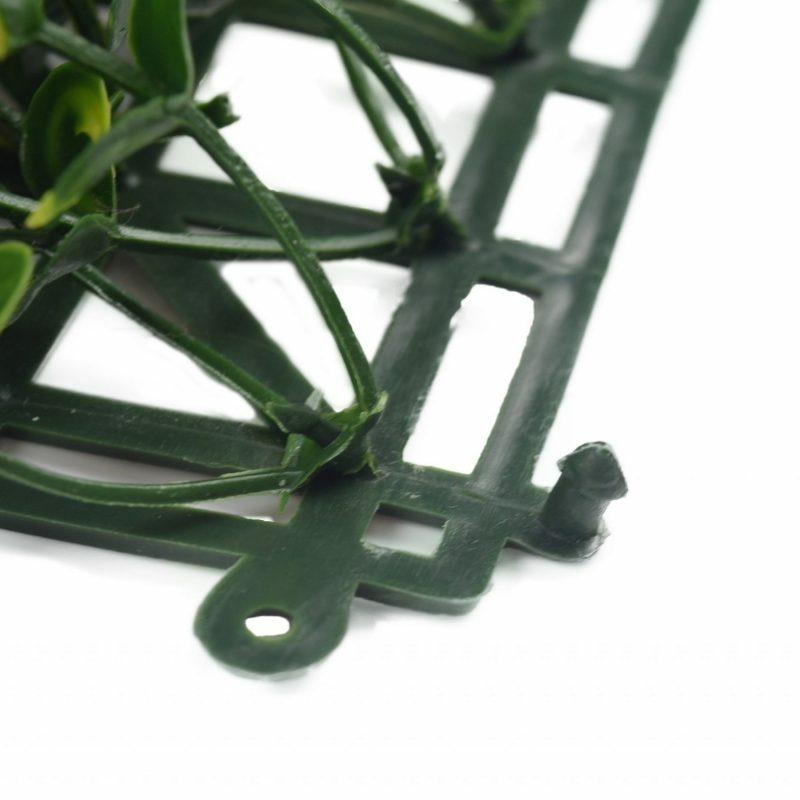 Each of the hedging tiles are 50cm x 50cm square tiles, finished with male/female rivets which can clip the tiles together to create your perfect hedge size. 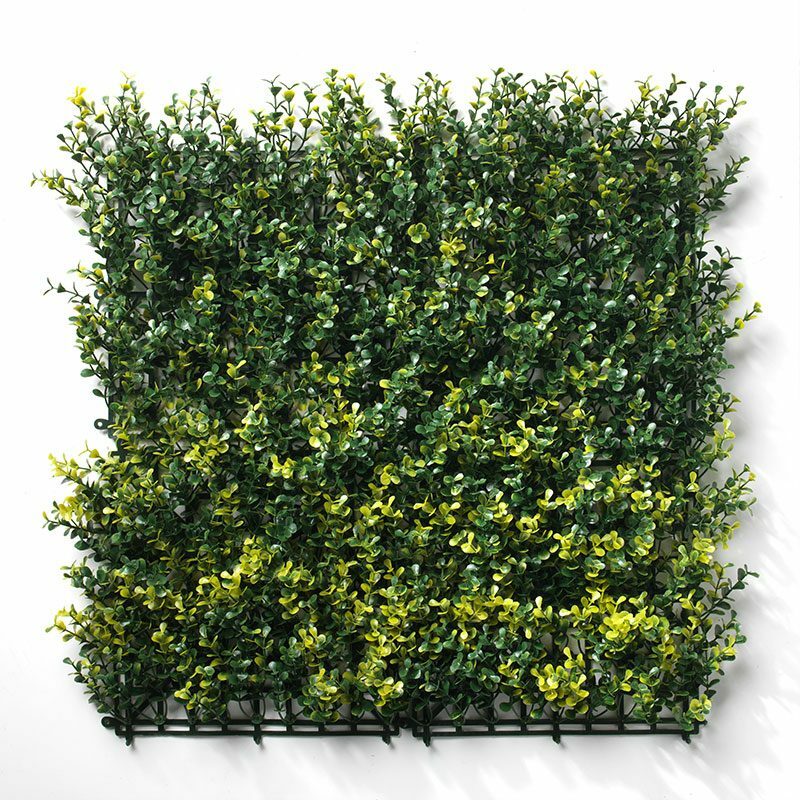 4 tiles combine to make 1m2, so figuring out your hedge measurements is incredibly easy with the artificial boxwood hedges – natural. 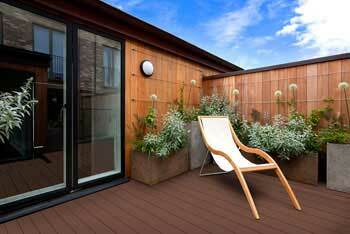 Boxwood tiles are perfect for both domestic and commercial properties, suitable for both indoor and outdoor projects. 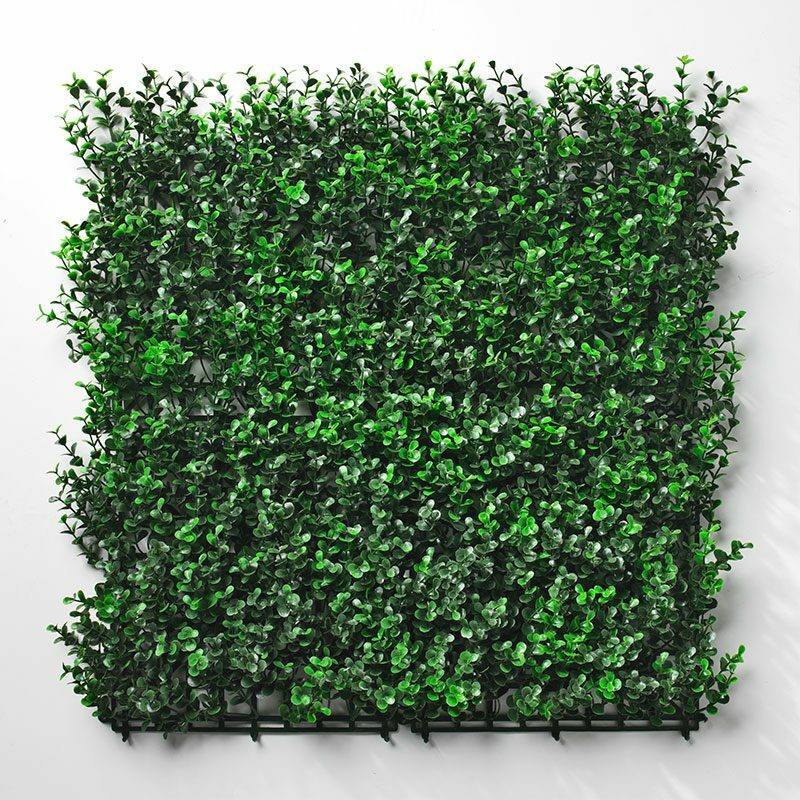 The artificial boxwood hedges – natural can be made into pivot hedges which are particularly popular in the commercial industry. 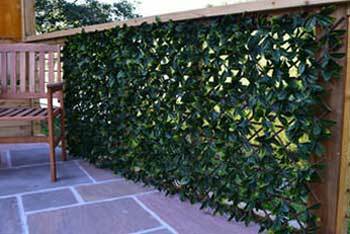 For any indoor commercial products, we can supply a fire retardant spray to protect your boxwood hedging tiles.